[BB-Blog]: A unique gift –- clean water for 20 years. 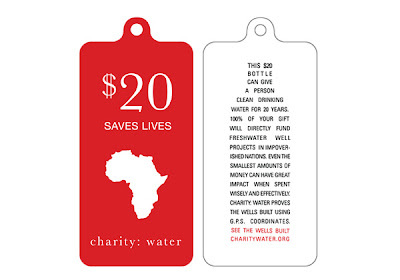 A unique gift –- clean water for 20 years. 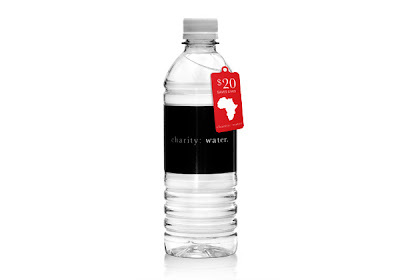 Send a beautifully wrapped $20 bottle of water to your loved one and give one person clean water for 20 years. 100% of your donation goes to building wells. Ah yes, a plastic water bottle. Kill the planet, save Africa!